LeanDog's boat, the Keasarge, is docked next to the USS Cod Submarine just West of Burke Lakefront Airport. Clevelanders may remember it as the former Hornblowers Restaurant. I just had the most amazing weekend at Cleveland GiveCamp, an event at which programmers, developers, designers, writers and others came together to build Web sites and applications for local non-profit organizations. 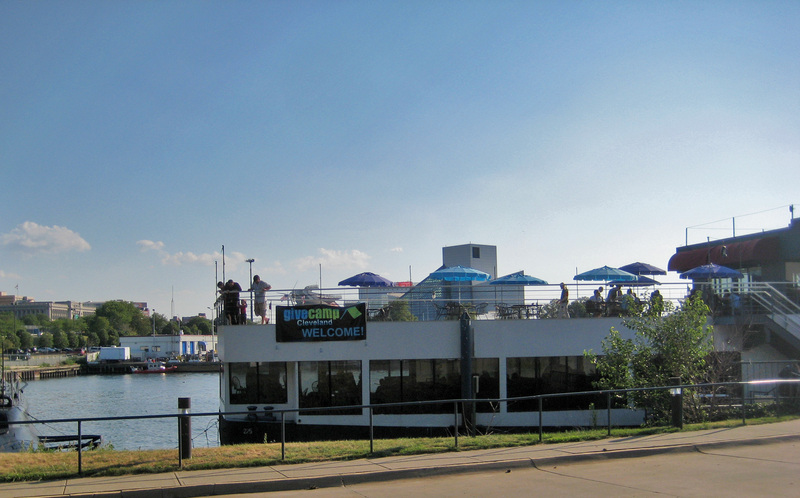 The event was hosted at Lean Dog, An Agile Software Studio housed in a converted steamship, the Keasarge, and its on-land neighbor, Burke Lakefront Airport. Throughout the course of the weekend 100+ volunteers produced Web sites and applications for 20 organizations. While the sites vary in complexity according to the needs of each organization, it's fair to say that these sites could have cost thousands of dollars each to develop without volunteer labor. For some organizations this meant they were able to get their first site. For others it meant that they could have their sites rebuilt—in a manner that would help them maintain them on their own—so they could better communicate with their constituents in the future. For all it meant that the dollars that might have been spent on the Web could instead be put towards directly helping their cause. Mark Schumann, one of the event organizers, drove this point home during the closing presentations. There he told us that the Suicide Prevention Education Alliance will be able to hire another staff person now that they don't have to spend money to build a new site. This will allow them to reach 3,000 more teens, out of which typically 150 will get professional counseling. Mark went on to explain that we can't know for sure how many of those 150 would have taken their lives without getting help—but I think we can all agree that if even just one life is saved, that makes a tremendous impact. Each of the many charities served by Cleveland GiveCamp supports our community in important ways, so it was really impressive to see how the volunteers were able to help them continue those efforts. Macintosh, Linux and Windows laptops all saw their fair share of the action as teams worked on developing their projects. Everyone who participated in GiveCamp had their own unique experience. The organizers have been working hard for months. I, on the othe hand, ended up turning up at the last minute. I'd first read about GiveCamp some months back, but at the time I assumed they needed programmers who knew more about developing applications and other things outside of my skill set. As we all know, one should never assume. On Friday afternoon I learned that Susie Sharp had been asked to bring down extra volunteers to help document/promote the weekend's activities via social media. I tagged along with "Team Tweet" thinking I'd go see what was up and help live-Tweet the action. We arrived at GiveCamp just in time to see them assign the developer teams to their non-profit organizations. Originally they'd hoped to have 70 volunteers working on 16 projects, but Cleveland spirit prevailed and they ended up with 100 volunteers who were able to work on 21 projects. At this point I still thought they'd be programming their own content management systems and applications, so I just went back to the boat to set up my MacBook Pro and plan out my Twitter strategy. The one skill group teams were short on was design, so I also let folks know that I could help teams with that as needed. As the groups started planning their projects and choosing their development tools, something unexpected happened. 15 of them chose to use WordPress as the content management system for their sites. WordPress struck me as a good choice because it is relatively simple to implement, it's free, and the end-user interface makes it easy for the non-profits to update and maintain their sites. Many of the teams who chose WordPress hadn't used it before. So it was natural that they would have some questions. I'm not an expert, but as many of you know, I use WordPress pretty much every day. This blog runs on WordPress, as does every site I've built in the past year. Their choice of WordPress gave me a new purpose, so I switched gears and took on the roll of roving WordPress troubleshooter. I also gave a presentation on Sunday afternoon to show the non-profits how to maintain and update their sites. As mentioned, it is relatively easy to set up a WordPress site using a pre-existing theme. Many users can do this themselves. But these were not do-it-yourself level projects. Customizing a site to serve specific goals and functions is far more complicated. One needs to know a certain amount of HTML, CSS, PHP and MySQL and may also need to know more elaborate programming. The sites the developers built fit into this category. Some required more complex navigation, others had special uses for incorporating social media, many needed PayPal integration for online giving, one required an e-commerce shopping cart solution and another was part of a project that also integrated a new iPhone application with a Twitter feed. Iggy, one of the LeanDogs asks if it might not make more sense to use a WordPress query, rather than a plug-in, for a feature we've been discussing. WordPress 3.0 integrates the former WordPress MU (multi-user) features as well as many options that make it easier for users to customize navigation and other page elements. But it's also very new. The official final release of 3.0 was just launched in June. I've upgraded many of my sites to 3.0, but I've not yet built a new theme that incorporates the new features. Some of the developers based their projects on new 3.0 themes while others based them on older themes that will still run on 3.0. It was easier for me to answer questions for the latter group; in many cases I could just go back to my Mac and send them a snippet of code I'd used in the past. Or I could pinpoint which plug-in was involved and just point them to the settings page they had to adjust. It was great when someone asked me a question I could answer immediately. But that didn't happen all—or even most—of the time. As they came to me with menuing—or other questions that were unique to 3.0—I looked over their shoulders as we tried to work things out together. Other times I hopped on Google and searched about until I found the documentation we needed to solve the problem. Once I found a solution I would e-mail it to the person who'd asked and add it to Delicious where I was sharing links for the WordPress developers. There were a few questions that completely stumped me, or that were outside my bailiwick, but in the end I think we were able to find work-around's or alternative solutions for most of the dilemmas that came up. And in some cases the programmers were able to build their own programs in lieu of plug-ins that didn't already exist. In the end I think I learned as much as anyone and am glad that I'll be able to put what I learned to use on my next project. When geeks put together an event, they know what tools to use. Participants needed to communicate with each other and we wanted to spread the word to the public about what the teams were accomplishing. 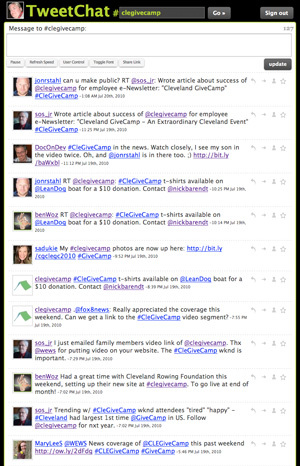 I used Tweetchat to monitor the #clegivecamp Twitter hashtag. Keeping in touch on Twitter with #clegivecamp. The organizers chose #clegivecamp as the hashtag for the event, so one of the first things I did was open a Firefox tab for http://tweetchat.com/room/clegivecamp in order to monitor what was happening. Throughout the weekend participants used this to post announcements; share links, anecdotes and amusing photos; and to converse between the two locations. I also used it to find out where I was needed for WordPress assistance. If someone Tweeted that team 5 had a WordPress question, I could tweet back asking for the location and tell them I was on my way. If I was away from my laptop others would see the Tweet and someone nearby could let me know where I should go next. People also sent Tweets directly to me, but overall the hashtag made it easy to keep in touch, whether or not we knew each other's usernames or email addresses. Delicious is the social media tool I use most regularly. As I worked with the WordPress teams it quickly became obvious that I needed a place to share links and other information. At first I thought I might make a new blog post here, then keep adding to it. But that seemed like it could become unwieldy. Instead I created a delicious tag for #clegivecamp. Then whenever I found a plug-in, or piece of documentation that would apply to one of the projects, I would save it to delicious along with that tag. I also used secondary tags such as wp-plug-ins and wp-documentation to help differentiate between the saved items. Throughout the weekend I posted reminders on Twitter and Facebook to let people know that these links were available. Then if someone asked a question, that I'd already researched, I could direct them to Delicious to find the documentation link I'd already saved. I also used this tag as a place to save user oriented documentation for those who attended my WordPress training session. This meant that I only had to give them one link to write down in their notes. They could then follow that link to find all the other links we discussed during the session. Over the next few days I will continue to add more links there as I recall/find those that would be appropriate for this group. Cleveland GiveCamp began the weekend with a Givecamp group on Facebook, but when Team Tweet began their social media promotion they thought they could benefit from the added features of a Facebook page. Thus Susie Sharp created the Cleveland GiveCamp page. Here Susie, Heidi Hooper, Jim Evans, Paul Schambs, Kasey Crabtree, Stuart Smith and others started posting updates and photos about the event. As the weekend went on, the developers and non-profits added to this content with updates about their projects, announcements and other related information. As people have added to the page it has turned into a nice repository for information about the event. If you have a Facebook account, I urge you to "like" the page. This will help show our sponsors, the media, volunteers and others that you think it is a worthwhile event that should be held again next year. Overall Cleveland GiveCamp was a tremendous success. The developers accomplished an incredible amount of work, ensuring that their non-profits can better achieve their goals. The camaraderie of the participants meant that we all had fun while working, and volunteers made sure we were well-fed and provided with sufficient quantities of caffeine to keep functioning. If you would like to learn more about GiveCamp or organize one in your own region, please visit the links below. We all know these blog posts don't get written as frequently as I'd like. But that doesn't mean you need to go weeks without hearing me babble. Over on http://www.facebook.com/heidicool, I'm using content curation to share one link per day. At one tip per week day it won't clog your Facebook stream, but hopefully you'll find something useful. And for more links (and ramblings that may not always be related to the Web) I usually Tweet and reTweet a few (or several) times per day at @hacool. Nice blog post Heidi. It gave me a good picture of what was accomplished along with your Word Press presentation to those who needed an easy, site that can be updated. 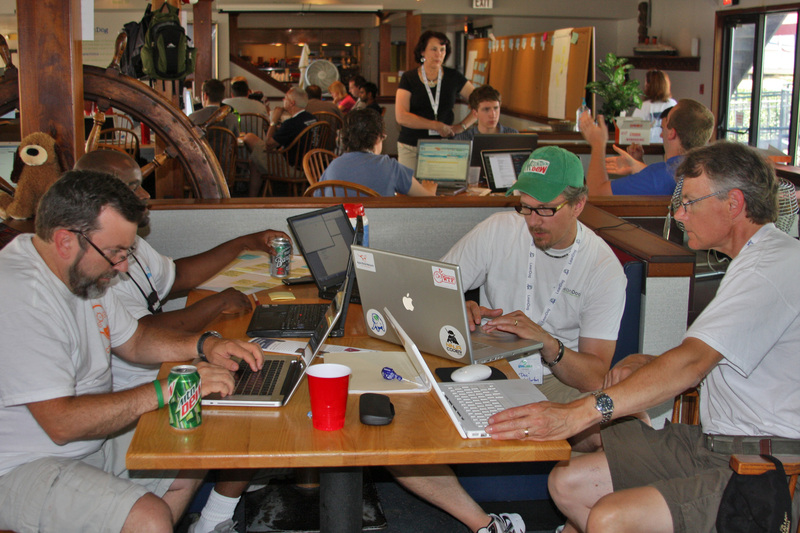 I hope GiveCamp does this next year. Now, I know how my talents can be served. Good work GiveCamp and to the many volunteers and sponsors that gave so much to the non-profits in Cleveland. Yes, you should have stuck around, I think we could have put your design talents to work. (Actually I should have e-mailed you to come back Saturday, but was caught up in the world wind and didn't think to do so.) At the time you left on Friday I had no idea what I'd be doing, but it didn't take long at all to find my niche. It's okay, Heidi, I did email Toni on Saturday. I think she was getting her nails done or something, and you know how the weekend flies. 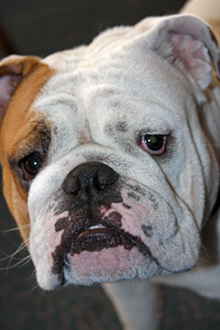 Heidi this is my first time to your blog and what a touching story for so many to help those non-profit organizations. I am trying to learn more about wordpress and I am for sure going to follow you now. God bless and keep up the good work. Oh and great job GiveCamp. Mark, I think Toni just gave out the nails story because she's humble and didn't want to let on that she was helping @sajansky out with a secret mission at CERN. Wordpress is awesome and easy, but is there an easy reference for all the plug-ins available? No GiveCamp was actually started in Dallas, this was the first year for Cleveland, but apparently we had the largest turn-out for a 1st year event. I would think Sarasota would be big enough to organize one, if not them then Tampa/St.Pete. Here we also had a few volunteers come from elsewhere, I think we had developers from both Columbus and Pittsburgh participating. p.s. Don't forget to get yourself a Gravatar! Yes, WordPress is great and participating in GiveCamp was also a lot of fun. As for my name, I may be a nerd, but I was born Cool. The WordPress Plug-in Directory currently lists over 10,000 plug-ins that you can search for by tags, key words, etc. They are also rated by users. This can help you get a sense of whether one will work for you or not. I also find them by just Googling a few words that describe what I am trying to do in combination with the words "wordpress" and "plug-in." One way or another I usually find something that fits the bill. Of course plug-ins aren't the only way to add functionality to a site. Sometimes you can achieve what you want by using WP queries, editing your template files, editing function.php, etc. Hi Heidi, I use and love wordpress but what is your opinion on moveable type? Was just wondering if it wouldbe worth it switching. Hi Heidi, great to see someone giving valuable tips to people who are just getting started, pity I didn't find your blog when I was starting out. As a Newbie, I found the lack of good quality information to help the Newcomer lacking. So the frustration led me to write my own e-book which gives step by step illustrated instructions on how to build your own website from scratch, and its free to download. I used Movable Type quite a bit when I was Webmaster at Case Western Reserve Univ. as that is the platform used by http://blog.case.edu. Overall I was quite happy with MT, though the Case blogs are running on an older version. The coding structure is somewhat different, but there is plenty of documentation. Some things are much easier on MT while other things are much easier on WP. As I recall it would usually take me less time to put together a new set of templates on MT than it does on WP, but that was probably because the old version didn't have as many features. When I have some extra time my plan is to install Movable Type 5 somewhere just to experiment with the features. I'm particularly curious to see how it's Motion feature works as that has some social media/community features similar to Pownce. I can't really say that one is better than the other, so I don't know that you have to switch, but if you have the time to tinker, you may want to experiment as well to see if MT would be a good fit for you. In the end the main thing is to pick the CMS that best serves the needs of your particular site. So it's not so much a question of which is better, but more which is better for project X.
David Thanks! When I was just starting out I learned to code HTML in a plain text editor by following the advice of the old "Beginner's Guide to HTML" (no longer online because it is out-of-date.) That was in the early days (1993/1994) when the Web was really just getting started so I then had the luxury of learning bit by bit over the course of time as the Web evolved. When I began the blog I was using it to share tips with other Web maintainers at Case Western Reserve Univ. Many of them maintained their sites in addition to doing their main jobs which often had nothing to do with the Web, so skill levels varied. Over time I discovered that people outside academia were reading it too, so I broadened the scope a bit. Since leaving the university I've just kept going along the same lines as that seems to work for my current clients, prospects and peers as well as it did for the folks at Case. Best wishes to you with your e-book! Alas, I've seen people get a bit snarky in forums as well. I've even seen it on LinkedIn where it seems particularly unprofessional. But I don't see the point of it. We're all new sometime, and we're all always learning. As far as comments go I don't approve ones that are obviously spam, but if someone is trying to participate in the conversation, then I'm all for it. That's interesting how he's bundled those plug-ins together. I use a few on the list. Have you tried using Headspace 2 for SEO? I've started using that instead of All-in-One SEO pack. It offers a lot of options for customization. You may like it. Hi Heidi, Thanks for all these great tips. I feel the marketing knowledge transfer from experienced online professionals is so important for anyone who is just starting out. I've been in IT for many years, so I try to share online business techniques and website setup on my blog too. I'm going to have a look at Headspace2. I currently use Platinum SEO on my WordPress blogs. I've used WordPress and Drupal, but never MT. I've also used Xsitepro, Front page, Dreamweaver, and Komposer to develop pages. I think it makes a difference how much computer knowledge a person has and what they feel comfortable with taking on. If a person is starting from zero, WordPress is great because it has a large following, good documentation and great forums. When you pick other less popular solutions that are "open source," you may get hung out to dry when you need help. Been there - done that! Wordpress is awesome. Great article! Keep up the good work. 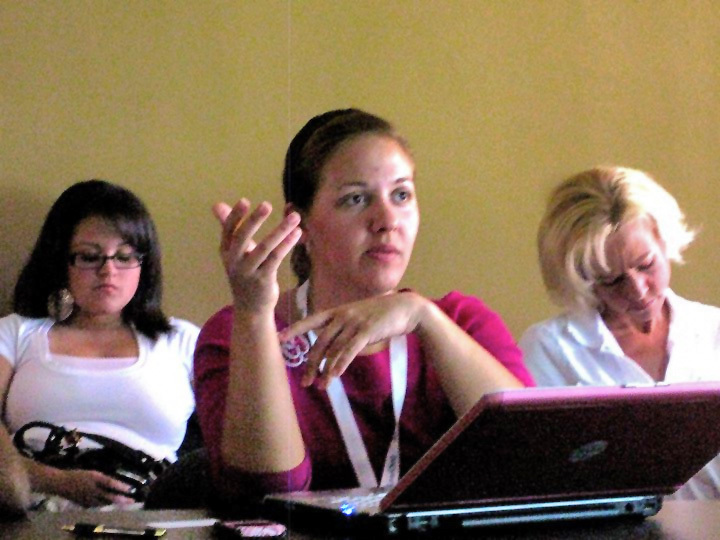 I do agree to Claudia Austin, the shared knowledge from experienced online professionals is very important. WordPress is really a great for beginners. Because of this reason only we launched our blog http://techmodi.wordpress.com/ in wordpress only. Check out my blog at http://www.hotgrades.com/ and make sure to leave a comment. It has discussions on Web Development, Web Design and other cool software topics. There is so much red tape with most non profit organizations that even finding a website designer or coder can be a subject that nobody can agree on. With such a wonderful program like yours you have totally inspired our whole office! Love your blog, please keep in touch we are a local website development company in Fresno Ca, we would love to help non profits out in the future with our web services. Please contact us at http://www.websitefresno.com and leave us a message, we would be honored to help. Hello Heidi, I followed your link from Case University as per your announcement that you are going to move your blog. So what I'm going to say? just congrats for your new blog! JVF, Yes, the process can be a challenge for many organizations. Especially if they have a small staff with little in the way of marketing experience. It's always hard to know who to hire if you don't know much about the industry. I'm on the board of Cleveland Public Art, which redid its site last year. We have a very astute staff so the process went quite smoothly. I worked with them to develop the site plan and RFP, then also joined them for the interviews with the design firms. We had a number of solid contenders and were very pleased with the results. Sitting on the client side of the table was also a good learning experience for me. Jonathan, Thanks! 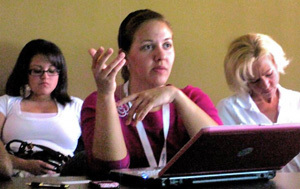 Perhaps you could work with others to do a GiveCamp or something similar in Fresno. I think you'd really like it. Would be my pleasure. I defiantly want to learn more so we can host one in our area. Hi,As a new WordPress user, I'd be interested in hearing if anyone thinks that a good blog post automatically makes a good newlsetter article and a good ezinearticle? Should I maximise the spread of my content, or changing it to suit the channel? Thanks! Great question. Whether we're sharing links via social media or posting blog entries and articles on multiple sites, I think we better serve our readers by customizing each to suit the channel and audience. That said, you can find ways to save time, by re-purposing content creatively. If you write a great post on the strategy behind listening for one blog. You could then write a related article that approaches the topic from a new angle. For example you might write a how-to post about using online listening tools. Then when you post that new article elsewhere, you can include a link back to the first. (At which point you can update the first one to include a link to the second one.) This way you can tailor things to different markets while giving everyone access to both. While you still have to take the time to write separate pieces, you'll have done a lot of your research and thinking for the first one. This will have given you ideas for related posts which gives you a bit of a head start on the second one. Sound advice - thanks - much appreciated! Very inspiring stuff, wonder if there are any similar things here in the UK. This is such a good thing to do for charities! I agree that WordPress is great for beginners. It's what I use and I'm certainly not a web designer. A charity that I volunteer found out I started writing a blog and asked if I would help with their website. I thought it was over my head, but after reading this I have a couple of ideas how I could help. We certainly don't have the budget to get one done professionally. I wouldn't be surprised if they are doing similar things in the UK. If not, perhaps you could organize something. That's one of the nice things about WordPress, it can work on many levels. A novice coder can get a decent site up and running using any of a number of free or inexpensive themes. Yet it also works well for people like me who spend more time poking around in the code. I can customize to suit my needs while taking advantage of useful features that would be more complicated to implement in straight HTML. Best wishes to you on your new blog and your Web project. You and your colleagues at your charity may also find it helpful to read through my Planning Your Web Site Tutorial. It was designed to help non-marketers think about their goals and how to plan their site to meet them. Hi Heidi, I am using wordpress for about a year now, and I really like the possibility to interact with people.Wordpress is awesome. Great article! Keep up the good work.